MOUNTAIN VIEW, Calif. -- A 24-year-old Fremont man on a motorcycle was killed in a collision with a dump truck on U.S. Highway 101 in Mountain View Thursday morning. A California Highway Patrol spokesman said shortly before 9 a.m., officers responded to a report of a collision between a motorcycle and dump truck on northbound Highway 101 just north of Ellis Street, CHP Officer Art Montiel said. The man was driving a 2009 Suzuki motorcycle and was pronounced dead at the scene, Montiel said. The truck driver was not injured and was cooperative with investigators, Montiel said. A Sig-alert was issued at 9:13 a.m. because of the closure of three northbound lanes north of Ellis Street, according to the CHP. 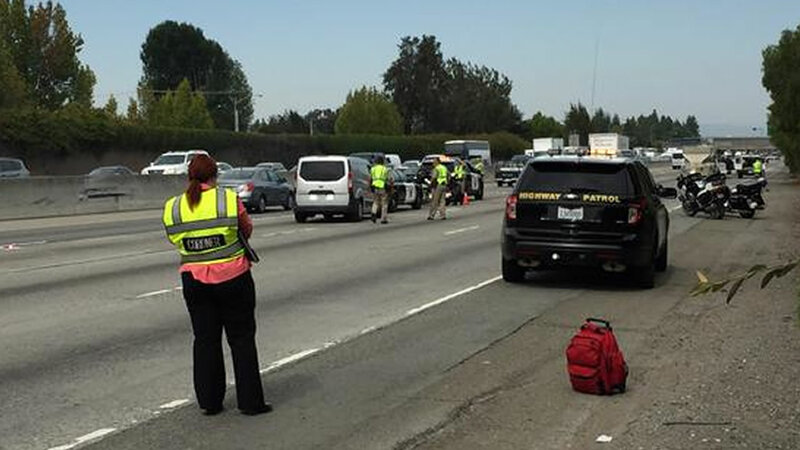 The lanes reopened shortly after 11:30 a.m., CHP officials said. The Santa Clara County medical examiner's office responded to the scene and took custody of the body, according to the CHP. Any witnesses to the collision are asked to call CHP Officer Moises Escoto at (650) 369-6261.